Rock and roll is an exciting fast paced, fun partner dance that gets everyone up on their feet -rocking to the music, of course. It can be quite athletic, as the rhythm runs between around 175 and 208 bars per minute – this makes joining a rock and roll class a great way to keep fit. The dance derives from the famous lindy hop and swing, and has a number of similarities, although rock and roll has more choreographed moves. 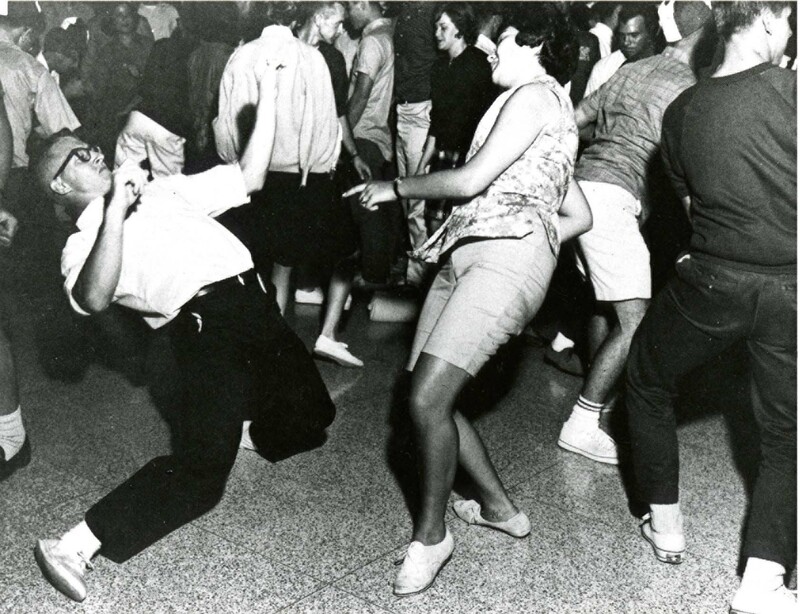 At the time that rock and roll bands hit the scene, this fantastic new genre generated an explosion of a true dance craze that is still alive and kicking today. Rock and roll can also be danced in groups consisting of 4 to 8 couples, or a group of just females doing the same routine in formation. The original swing bands exploded in the early 1920s, and their debut was followed by the wild acrobatic lindy hop moves such as the man tossing the female in the air over his back in a type of somersault. Twenty years after the arrival of swing, the acrobatic elements of lindy hop were adjusted and boogie woogie emerged. Since the 1950s, rock and roll has been danced in a personalised way, and dancers always maintain a casual stance as they sway and twist from side to side with very flexible leg and body movements that synchronise with the clear beats. The unmistakable rhythm of the music with its repetitive quick-quick, slow-slow is easy for everyone to pick up and step and sway to. Stepping from side to side, and dancing lots of kick-ball-changes and under arm turns creates a real party atmosphere, and this is why bands often pay this genre of evergreen music. At the present time, the Rock and Roll Confederation are involved in competitions which are held in different parts of the world to spread this highly contagious art form which can easily be done at amateur level without the need for any acrobatics.